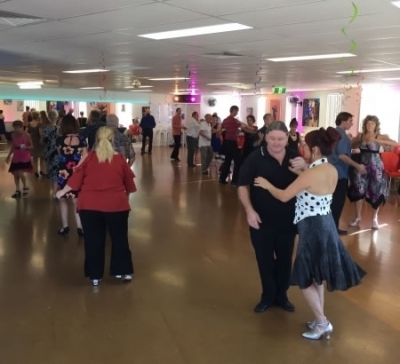 Thursday night is our Beginners and Social dancers class night. 6.30pm Intermediate Ballroom sequence and New Vogue class 7.45pm Beginners and Social dancers Ballroom class. Short sequences of both Modern (Waltz, Quickstep, Tango and Rhythm Foxtrot) and Latin (Cheeky Cha Cha Cha, Rumba, and Jive) bracketed with Progressive dances. Do you want to join dancers on the floor at the Clubs? Are you going on a cruise? Is it something you've always promised yourself you'll try? You'll never never know, if you don''t ever have a go. A little bit of technique and a whole lot of fun. Fabulous floor, memorable music, Air conditioned comfort.